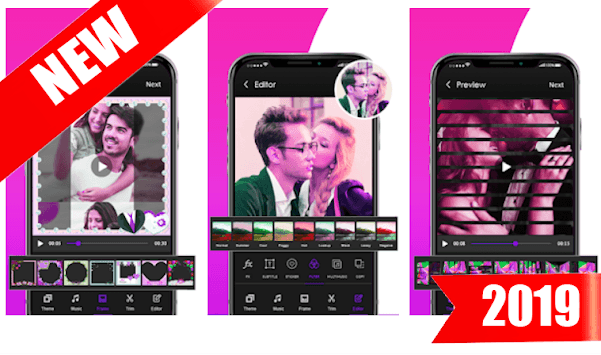 New for Flipagram Video Maker 2019 is the easiest video editing tool/slideshow maker/effect camera to make stylish videos and photos. With minimum operations, a spark video combined with magic effects, fantastic filters, popular themes, special doodle, gif memes, slideshow animation, gif stickers, hot music will be shown. We’re a free movie editing app for youtube, instachat & flipagram with no ads and no watermark. - Edit videos with heart effect, love effect, rain effect, snow effect, firework effect. - Add music to video with whatever music you like. - Add frame video with love frame, happy birthday frame. - Edit photo with powerful editor. New for Flipagram Video Maker + Music(Slideshow Video) Provides All trending Video themes in United States of America and Europe Countries With Latest Stickers and filter collection to Make your Flipagram Video Maker + Music (Slideshow Video). Best Video Editing App For All Your Video Editing Needs. With Flipagram Video Maker + Music (Slideshow Video) Make Your photos into flipagram video. Using Flipagram Video Maker + Music (Slideshow Video) You can create professional-looking video stories easily within a few moments. Flipagram Video Maker + Music(Slideshow Video) is the best video editor, photo slideshow maker & movie editing application. - Powerful and Professional flipagram video editor. - Make Flipagram Video Within Minute. - Fast performance of creating video. - Get Perfect Preview.-> Select or adjust photo sliding seconds. - Create video with high quality. - Add Your favorite song in your flipagram video. - Add Frames to your flipagram video. - Select photos from your gallery or select captured photo from camera. - Add your favourite music or song. - Set seconds for image sliding. - Get perfect preview of your created flipagram video. 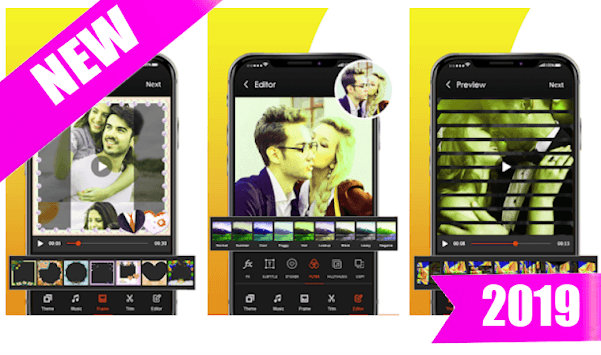 - Apply awesome effects,frames and filters. - Share your flipagram video with your friends. If you find any Misleading content or Some Copyrights then contact us on email address , we will solve as early as possible.